Email marketing helps you to connect with your audience to promote your brand and increase sales. We create unique emails to inform and retain your audience. Whether you are a large or medium-sized business, emails are a wonderful way to reach your audiences who have been out-of-reach in a cost and time-effective way. E-mail services are one of the affordable ways by which you can build brand awareness and loyalty. It gives you advantage over other methods and is also an easy option. By being present in your customers’ inbox you can connect to them in real time and don’t have to wait for them to see the message. The relationship you build is more personal and helps you build trust. Emails can be sent on a timely basis like weekly, monthly and bi-weekly. By deciding the right schedule for you, you reach the audience at the right time. This saves a lot of time and you can pre-schedule your e-mails to be reached so that you don’t have to login to send the mail. E-mails have the benefit of targeting content to the audience, thus avoiding general messages. You can decide what email type should reach each group. This organized category lets your audience get what they exactly want and acknowledge them. The emails that are sent on a timely basis makes sure your brand is in the audience’s mind. When this happens, even if the customer doesn’t open your mail they know that you are there looking at the mail subject line. Almost everybody has an e-mail, as most apps need an e-mail. When you target your audience through a common platform, your exposure is retained and information is accessed. So when your information is exciting, they can share or forward the mail to everyone in their contacts list thus promoting your brand even without your presence. Through emails services, you get to know your audiences better by noticing how they respond to your mails. E-mail analytics and database helps you track your audience. You can track delivery rates, bounce rates, unsubscribe rates, click through rates, and open rates. A content section refers to an email content topic. We can utilize some or all of the content sections included and split the # of words included in your plan based on the amount of words needed/desired per topic/content section. We consider your brand’s e-mail list is the most important resource for dwindling your audience. 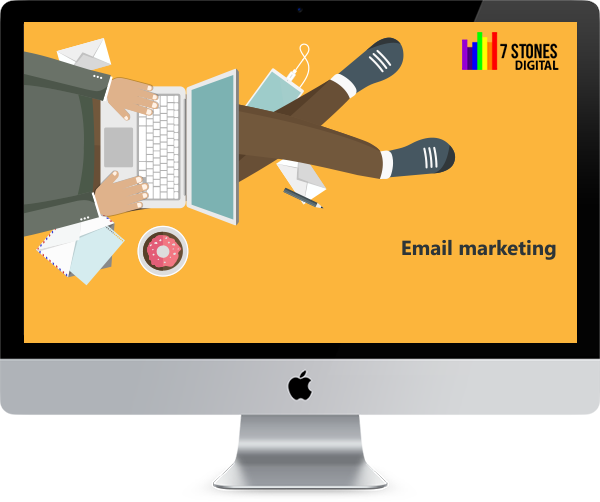 Hence, we provide unique e-mail marketing services to help you stay relaxed. When it comes to e-mail, it is easy to be ignored by the audience. But we curate content that attracts and leads to call-to-action. We device methods to let your brand visibility sore high. By using e-mail marketing we are almost in the house of your audience and hence need to help them make their life easier. We believe that user-generated content avoids the risk of losing them and enhances their experience. Every e-mail marketing campaign has been opted by the audience through subscriptions. Follow - ups are mails that are sent once the audience subscribes. This are accompanied after the email-verification. It’s an introductory to the new customers. Unlike the store, you are in their home and need to build a good relationship with them. This is where you set the expectations for your audience and cater them accordingly. This decides the Click through rate and eventually leads to call-to-action. Newsletters are means by which we create further relationship with the reader rather than throwing the message directly at them. These are messages that offer updates, offers and announcements about your brand in a unique way. We add catchy titles to the articles in these newsletters that make the audience read and get familiar with your brand. We craft attractive subject lines and messages because direct bombardment of brand information leads your e-mails to the spam folder. Mobile-friendly mails are important because smartphone are the dominant way by which people consume content today. Therefore, it is crucial for the mails to be mobile-friendly and be viewed on the go. This can be done by adding GIFY images and other images. It makes the audience forget the fact that they are viewing e-mail but something like social media content. E-mails doesn’t have to be traditional all the time. Auto responders are consistent email content that are sent even when there is no offer. This helps the customer stay reminded of your brand even when you are not actively promoting new sales or products. If auto-responders are reached effectively, customers will be aware when updates are happening. Remarketing Advertising:lets your already existing customers to market targeted products/ services. PPC Campaigns (Pay-per-Click): lets you direct traffic to your brand site. Social Media: lets your already existing customers to market targeted products/ services. Click the button today to get email marketing done.